This cookie is not what I set out to make. This was supposed to be a simple almond cookie. 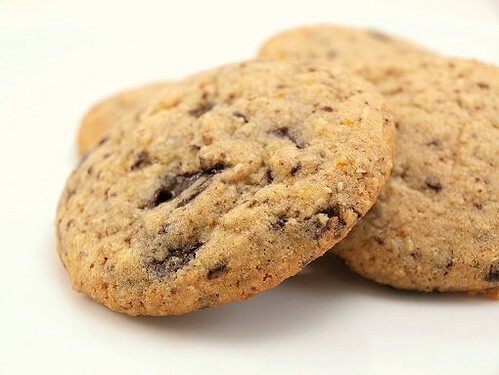 I was craving almond cookies last week and decided to come up with a recipe that incorporated ground almonds into the cookie for some texture. Things went astray when I saw a lonely orange sitting on my counter. It only went further off track when I remembered I had a bag of chocolate disks from New York in my pantry. 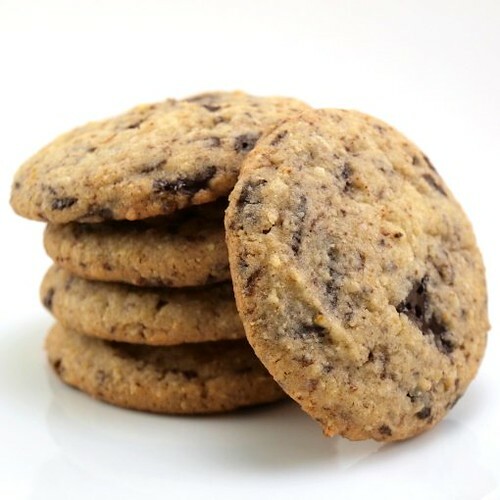 These cookies are crisp and crumbly, yet they are not in the least bit dry. 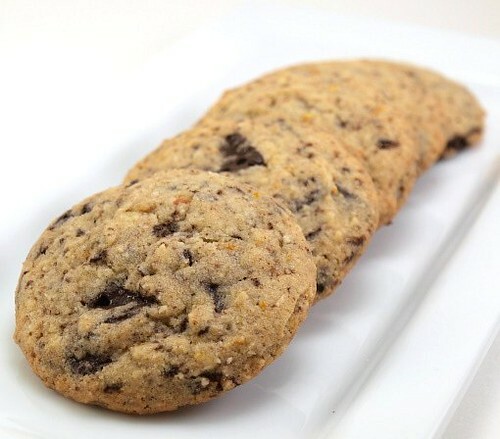 The almond, which gets nice and toasty in the oven, combines nicely with the subtle orange and rich chocolate flavors. 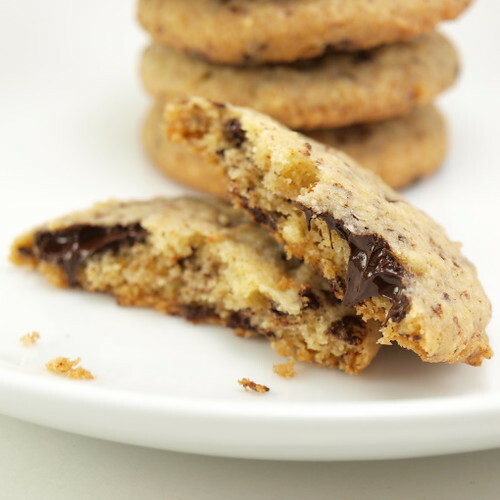 No, I did not intend to make these cookies, but boy am I glad I did! I dare you not to eat them all! Heat the oven to 325 F and line two sheet pans with parchment paper. 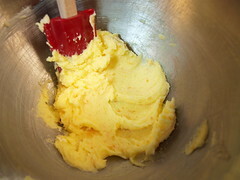 In the bowl of a mixer cream together the butter, sugar and orange zest until well mixed but not fluffy. 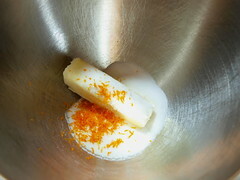 Add the egg yolk, almond extract and orange juice and mix until well combined. 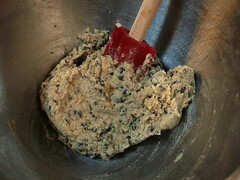 In a separate bowl whisk together the flour, baking soda, almonds and salt. 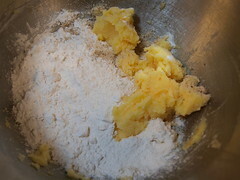 Add to the butter mixture and mix until most of the flour is absorbed. Add the chocolate and mix until well distributed. 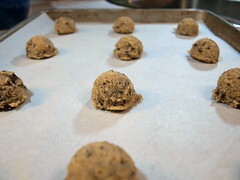 Scoop the cookies out by rounded tablespoons on the prepared baking sheets. 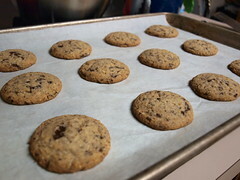 Bake the cookies for 12 to 16 minutes, or until the edges are just golden brown. Cool on the pan for five minutes before transferring to a wire rack to cool completely. Enjoy slightly warm or at room temperature.